If I could monogram my entire world, I think I would. 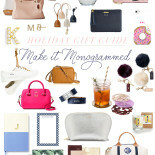 I love how a monogram adds a little something extra to any piece, especially a gift. When it comes to gifting, it shows that you put a little bit of extra time and thought into a gift, rather than just picking something up last minute, you know? I chose my monogram gift guide for #3 in my 25 Days of Gift Guides series to make sure you had plenty of time to place your orders. When it comes to personalized pieces, most of them are made to order so it takes a little bit of extra shipping and handling time! Make sure to get your monogrammed gifts placed early so you don’t run into a rush shipping, not-going-to-make-it-by-Christmas-situation down the road. Last year, I got my Grandma this monogrammed robe and she absolutely loved it! (I have the same one in white!) This acrylic desk set is perfect for college girls and recent grads. I’m also loving this personalized watch for any lady on your list! If you want to browse around for your favorite monogrammed pieces, here are some of my go-to sites: Design Darling, Mark & Graham, BaubleBar, and Tuckernuck. Another one of my all-time favorite personalized gifts is the Map Necklace. Basically, you can customized a variety of different shapes (heart, circle, rectangle, etc) with the locations that hold a special place in your heart. For couples, maybe it’s where your engagement happened, your first home, where you got married, your first date, or where you met. It could also be your childhood home, a college address, a favorite vacation spot, wherever it may be…. A little diamond marks the spot of that memory. I have a heart-shaped necklace with my last New York address and it’s such a special piece in my jewelry collection! Found this after I published this post … How good is this monogrammed keychain? Such a cute gift idea! 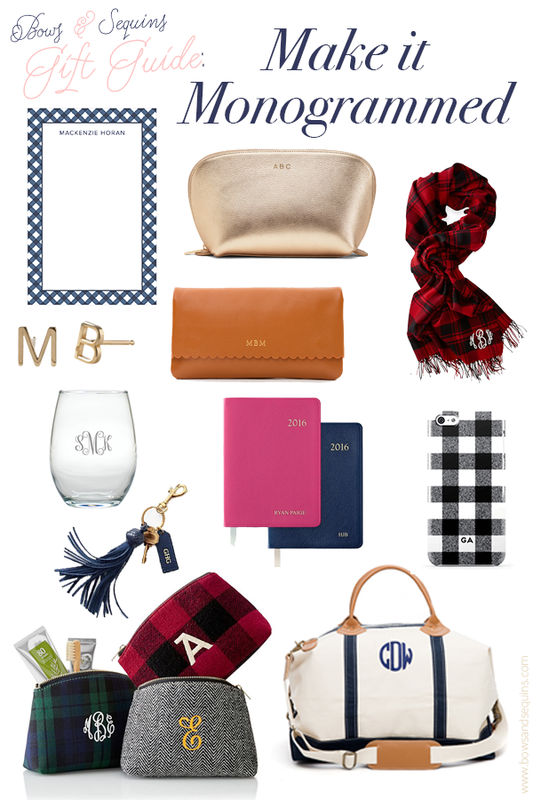 PS: For more monogrammed gift ideas, you can reference last year’s gift guide! Super cute! I love the notepad! I like monogrammed things. I don’t have any at the moment and it would make a great gift! 🙂 I should put it on my Christmas and Birthday list! 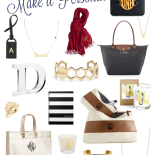 I love it all its very cute and I’m a big fan of anything you can monogram!! just excellent and i could think you’re an expert in this subject. RSS feed to stay up to date with drawing close post. Thank you one million and please continue the enjoyable work.